A mix of clouds and sun early, then becoming cloudy later in the day. High around 70F. Winds ENE at 5 to 10 mph..
Overcast. Low 49F. Winds NW at 5 to 10 mph. A heat advisory, shaded in orange, is in effect from noon Saturday to 11 p.m. Sunday. Record high heat was recorded throughout Eastern Washington earlier this month. 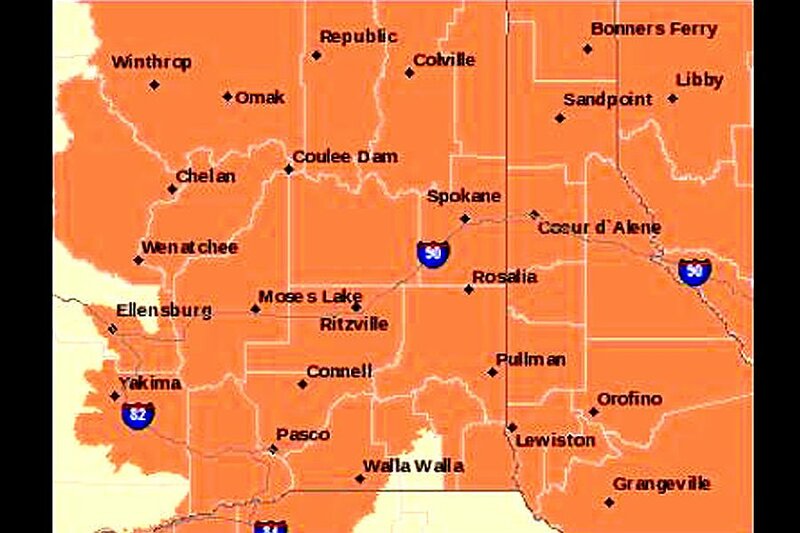 OKANOGAN  Meteorologists at the National Weather Service have announced a heat advisory covering much of the state, including Chelan, Douglas, Ferry and Okanogan counties, and Idaho. The advisory will be in effect from noon Saturday to 11 p.m. Sunday. The statement encourages people to stay well hydrated and take breaks in the shade from vigorous outdoor activities. Temperate are expected to be in the 100s with lows in the upper 60s to lower 70s. Earlier this month several record-breaking temperatures were reported as warmer-than-usual weather pushed temperatures into the triple digits across the region on June 8. 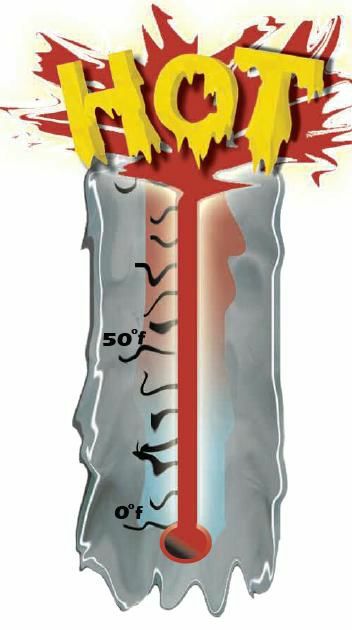 Winthrop reached 97 degrees, up 1 degree from its previous 1977 record. Grand Coulee Dam came in at 96 degrees, up from the previous 94-degree record, also set in 1977. In Stevens County, Colville thermometers topped out at 97 degrees, up 4 degrees from a 1948 record.